Back to School Fall Outerwear Essentials with Zappos – #zapposstyle | I have participated in a campaign on behalf of Mom Central Consulting for Zappos.com. I have received product samples to facilitate my review. While the official first day of fall is still a week away, the morning and evening temperatures around here are a sure sign that the upcoming season is underway. I typically savor the last few days of summer, however, as a Zappos Brand Ambassador for the back to school season – I have to say I have been highly anticipating the transition in order to break out some of our new gear. Last week I shared a little about our love for one-stop shopping with Zappos. Zappos.com carries everything from clothing and shoes to backpacks and accessories – making back to school shopping a cinch from the comforts of your own home. It’s a real struggle for my little guy to transition from season to season. 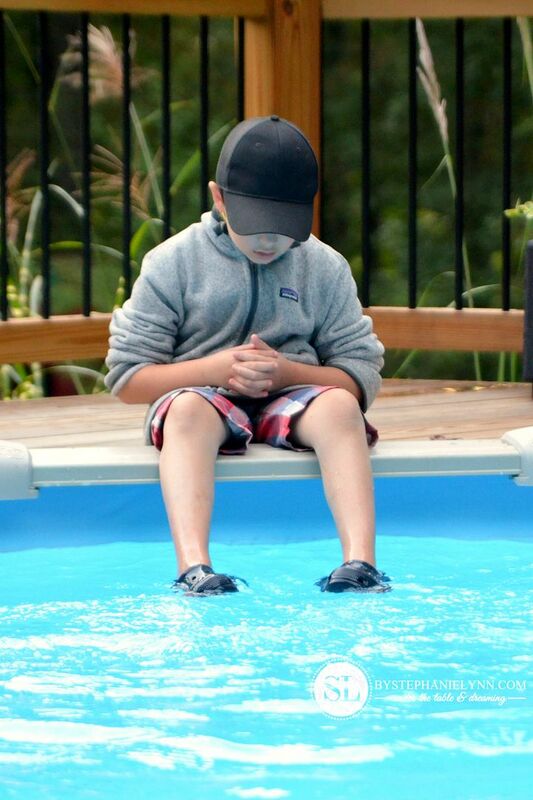 Extra clothing, layers and different textures are big challenges we face with his sensory sensitivities. Wearing long pants and even socks are huge battles. It has taken a couple of years but I am happy to say that I finally have narrowed down a list of items that make these transitions a much smoother process. I buy the same items year after year. 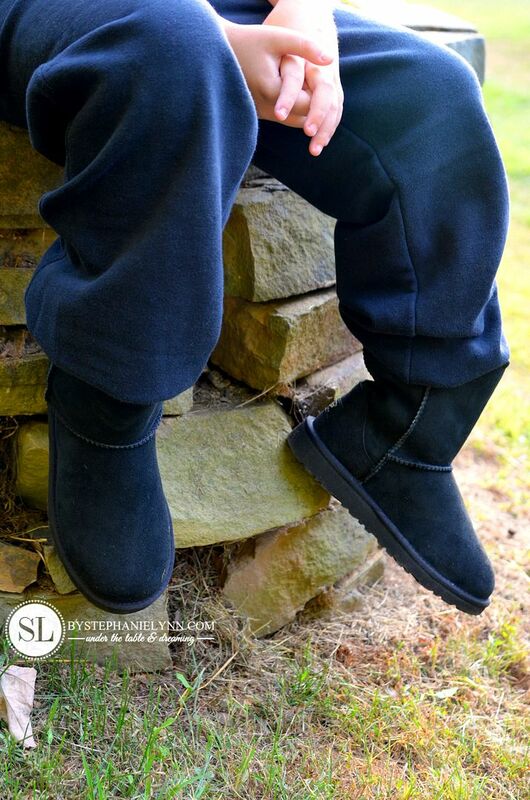 They are not only extremely comfortable, but each item is from a brand made with high quality and durability to carry us through the fall and winter months – and even through to the following spring. Lucky for us Zappos carries all of these items – talk about one stop shopping! 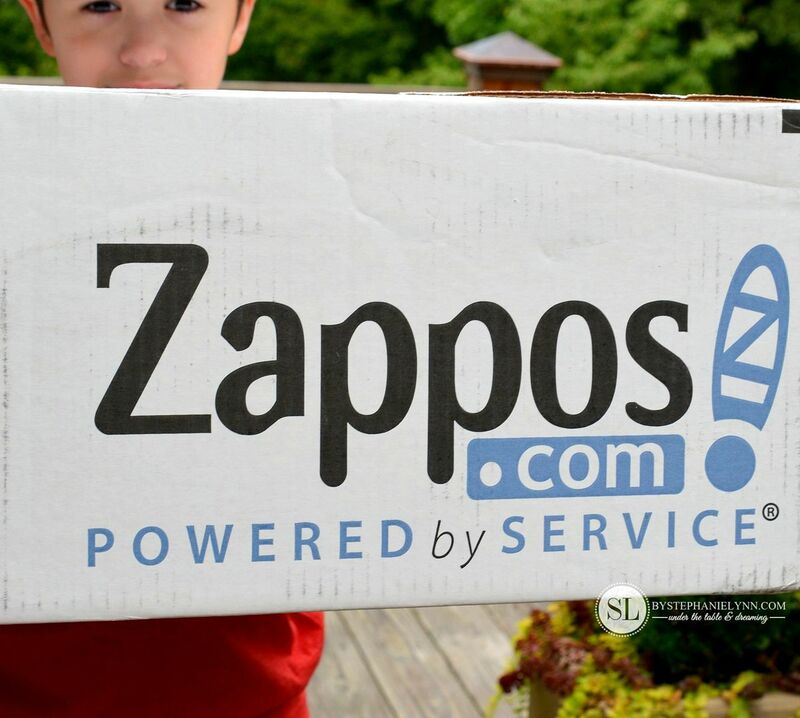 As I mentioned before you can’t go wrong with any Zappos online purchase either – if something doesn’t fit or isn’t what you expected it’s very simple and easy to return or exchange the item – hassle-free. Below are our tried and true Back to School Fall Outerwear Essentials picks – all from Zappos. 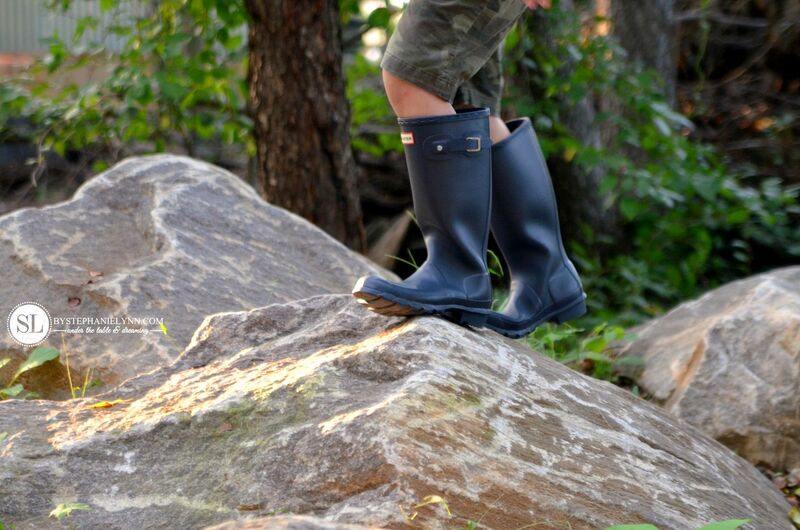 These are by far our favorite boots – especially since I can not get my little guy to wear socks. I own a few pairs myself and the lining is extremely comfortable and warm. 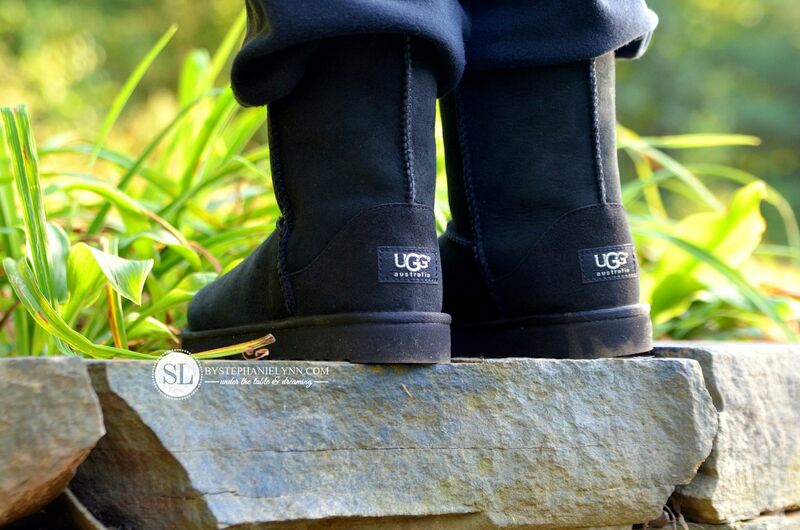 CJ wears these throughout fall and the entire winter season as they are very durable and hold up well. 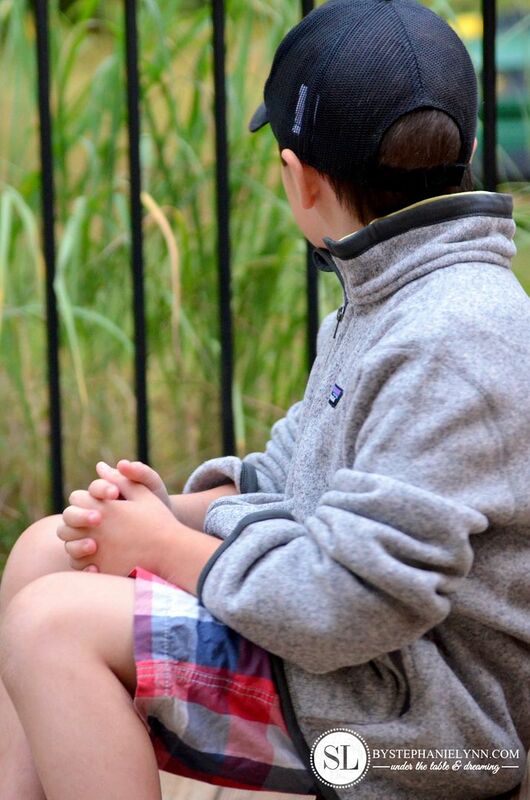 The Zipline Rain Jacket is a perfect transitional jacket we love for early fall and spring. It is very lightweight and made from a durable, breathable material with a mesh lining. 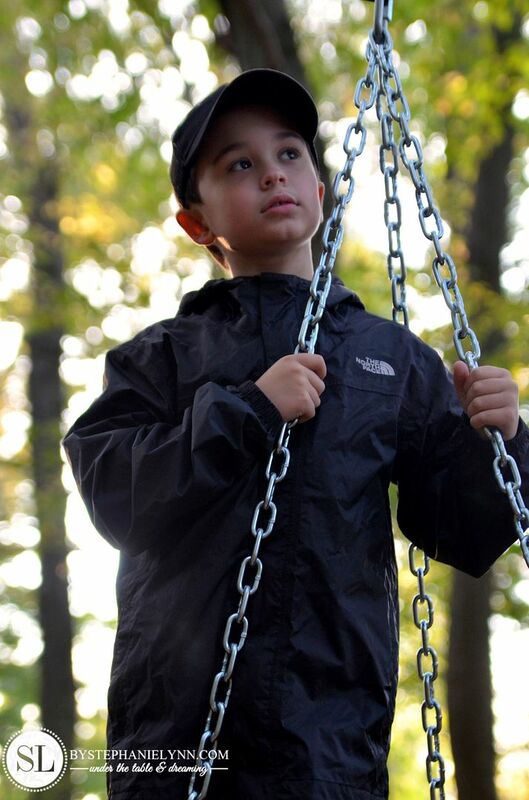 It is fully waterproof with a fixed hood making it the best rain jacket we have found to date. 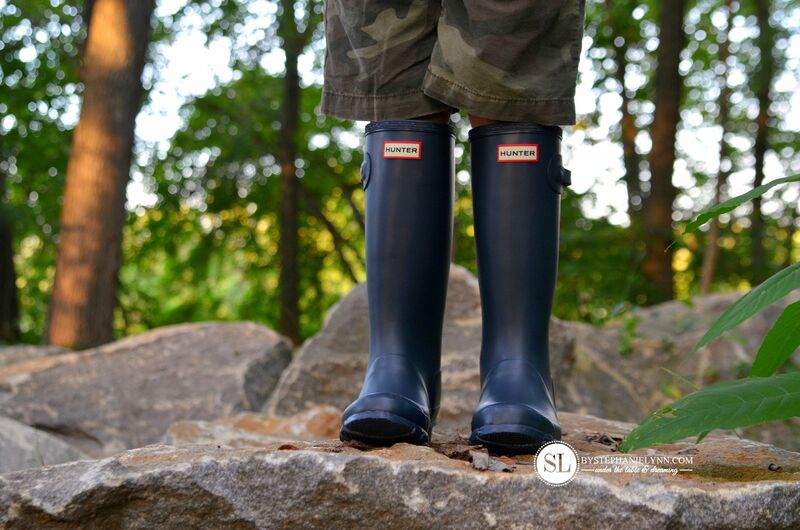 We love the quality of Hunter Boots. These are the only other shoes CJ will wear throughout the winter. Hunter makes a nice warm liner for the boots as well – so again there is no need for socks. These are our go-to for mud and even snow. After a day outdoors we put these on the wooden boot rack we made, hose them down, and they are as good as new. 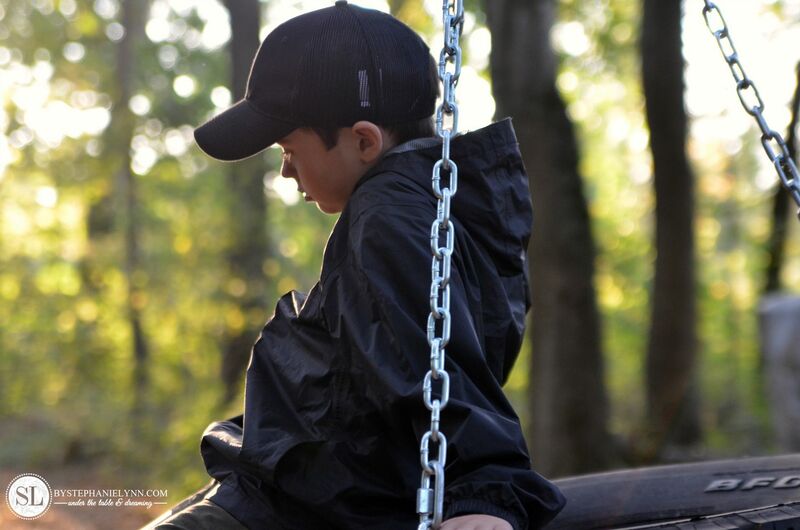 The North Face Denali is our favorite jacket for cooler and cold weather. CJ wears this jacket throughout the entire winter. 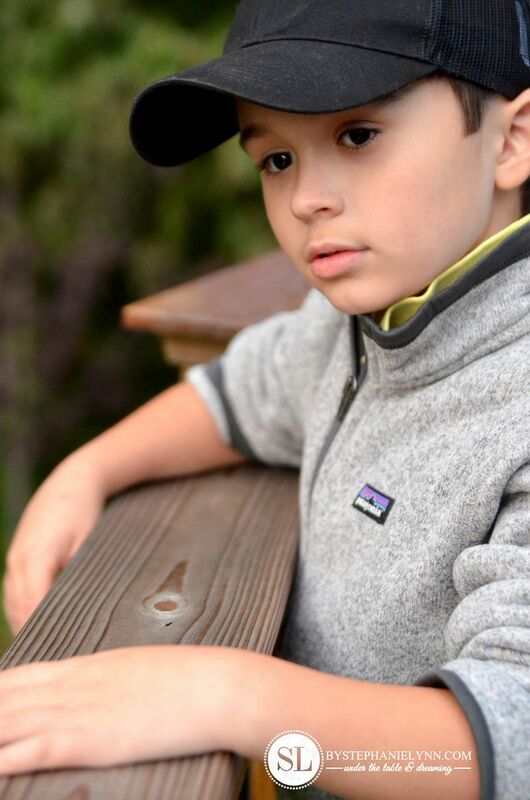 It’s made from North Face’s iconic fleece that is extremely warm and comfortable. The jacket washes up wonderfully too. The black does attract some lint but nothing a quick brush with a lint roller can not handle. They do make other colors, but black is CJ’s color of choice. The Better Sweater is another fabulous transitional jacket. It is one of the most comfortable pieces of clothing ever – they make them to fit everyone in the family. Since CJ is not a fan of sweatshirts or sweaters this is the perfect combination of both. The outside is a soft durable sweater knit and the lining is warm fleece – perfect for the fall and spring. I’ve been a big fan of Zappos for years as they carry a wide variety of high quality clothing, shoes, and accessories from some of the top brands I just love. Zappos carries footwear from brands like Nike, Stride Rite, New Balance, Converse, Keen and Pediped – and clothing from brands like Under Armour, North Face, Patagonia, Roxy, Volcom, Splendid and Tommy Hilfiger. 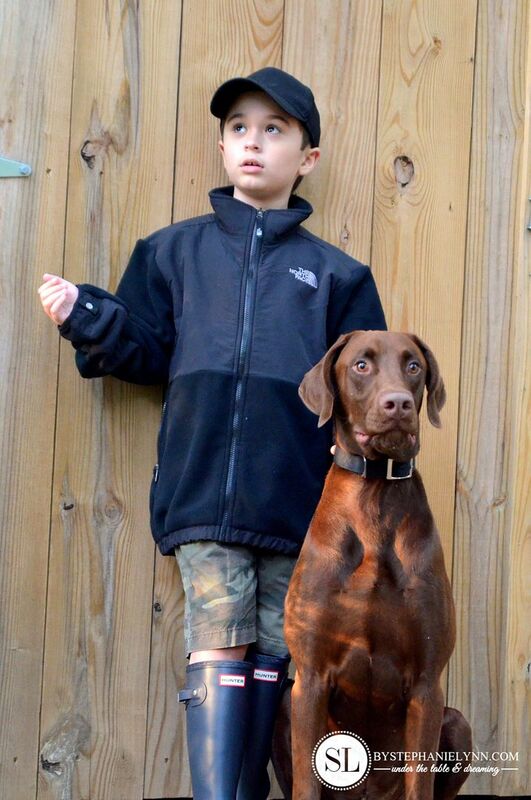 Great looks on a great-looking CJ (and quite handsome dog, I might add). Those are styles that are timeless choices. 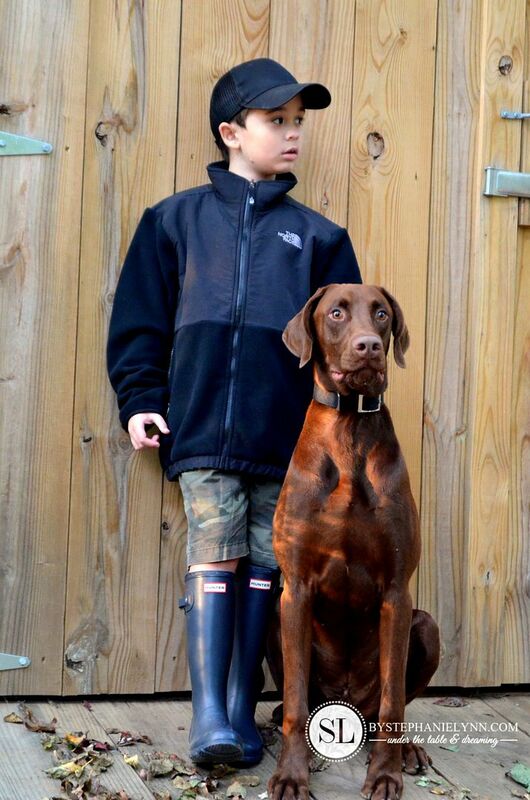 I am delighted to see a boy wearing Hunter boots. Too many people think that they are girls’ boots and won’t buy them for their sons. It’s good that you recognize the quality of these boots and that your son wears them. They look just as good on a boy as they do on a girl. I hope he enjoys them. Great choice. They will make mud-puddle jumping so much fun. 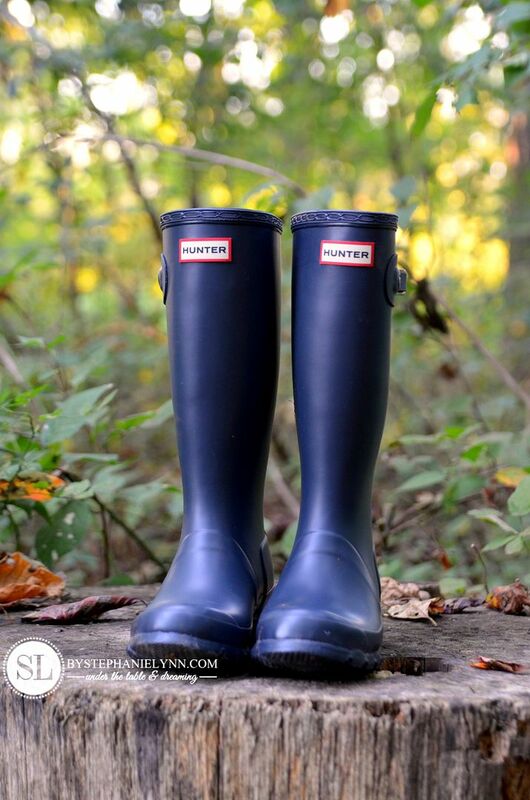 I hope more and more boys become comfortable with Hunter boots as they are perfect for them.